Being a fan of AFC Bournemouth is an integral part of my life; not just what I do but who I am. It’s been like that for so long it’s hard to think back to a time when the matches, news and gossip weren’t one of the axes around which my life revolved. One of the cornerstones by which I identify myself. Asked to summarise myself and my life in a short paragraph, after family it would feature pretty prominently. However, I’ve come to realise what it means has irrevocably changed in recent years and it’s hard to picture its future in terms of the past. For so long when the question of football came up I knew where I stood, how to play it and what it meant. 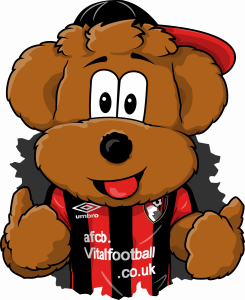 I’d state I was a fan of AFC Bournemouth when it was raised in conversation with new people, sometimes putting it as ‘The mighty, and I do mean mighty AFC Bournemouth’ if I felt the audience would understand that whilst I was being self-deprecating putting it like that I was also deadly serious about the club. If the encounter was with someone that didn’t know a lot about football or was, for want of a better term, a glory hunter I was ready to field the oft-asked ‘Yeah, but who do you really support? You know, which proper team?’ I know this irritated the hell out of some people when asked similar questions but I always thought it was pointless getting angry as they’d simply never had the same kind of connection to a club so how could they understand? I’d set them straight as gently as I could and explain this was the one and the only club for me and they were more than enough in what they did and they achieved. Sometimes this would garner a confused look, other times it would pique genuine curiosity. Occasionally at this point a glory hunter might start going on about history, titles, cups and so on and I would take the opportunity to, this time stridently, point out that football history isn’t only about the winners or even those in the upper echelons or latter stages of a cup. 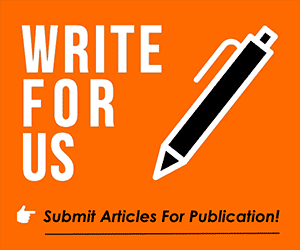 A football club can have a varied, interesting and storied history that means just as much to their fans without them ever having taken part in the so-called big time. When conversations came up about how great fans of this or that big club were, in volume and passion, I’d merely point out how much easier it is to follow a team that has a genuine chance of winning something. A club that has a history of spending money on players that may (probably not but the hope would be there when the cash is lashed) prove to be exciting, players much-wanted by their previous club. As opposed to travelling to support a team made up of waifs and strays not really rated elsewhere. I’d always argue that a fan of a club like, for example, Rochdale was far more passionate about their football than the average fan of a big club. Sure, numbers add noise but it takes a special kind of madness to use up a day of annual holiday from work to travel away to some cold northern outpost to watch a match in what is now called the EFL Trophy. I can’t say I ever quite managed to put myself up to that level of daftness but I still made AFC Bournemouth an important part of my life. In fact, to put in a personal anecdote, in one of the most important periods of my life it’s something that stuck out during a back-and-forth battle over a girl. That girl is now my wife but when we met she was coming to a drawn-out end of a long-term relationship with another English guy. Not being from these shores, she wasn’t too versed in football culture but she did like watching winners so was happy to attend a few matches with her previous boyfriend, whose family had long been season ticket holders at Highbury. Arsene Wenger had only been in charge for four years and so was very much in his prime of an amazing time to be an Arsenal fan. During the period when we were initially dating but she still had some contact with this previous long term relationship (it was a messy beginning! ), her ex would push her for details on me and use everything she said to slag me off. She told me about the moment when he asked what football team I supported and she replied, which a knowing smile expecting him to laugh and lay into me ‘AFC Bournemouth’. She said he went quiet for a moment and then simply said ‘Ok, fair enough. I can’t criticise him for that at all. He supports his local team’. I think for her that was probably the first time she started to get that maybe there was more to this football thing and connection to a club than many outside of football understood. That brings me back to the other people to whom I said ‘AFC Bournemouth’ when asked who I supported. Not the people making chit-chat or the glory hunters but the football fans with a real passion for it. Those were the conversations I relished. They got it. Much like my wife’s ex above, they instantly knew a lot about me and my relationship to football just from that short answer. Football conversations with fans of Woking, Stockport, Peterborough, Charlton and many others as well as the obvious Premier League teams. Whether it was at a party, in the pub or at work, they stick in the mind. Sometimes they would be the start of ongoing banter for years and with others, it may have been one-off conversation. However, even now there are some clubs who I immediately associate with a person from one of those chats as soon as I hear that club mentioned. I almost hesitate to say ‘real football fans’ but I struggle to find the correct term to describe the kind of people who would instantly know so much about me from just the words ‘AFC Bournemouth’. They knew I wasn’t in it for the glory, I was a fan for the team and for the love of football and that was enough. That was something with which they could instantly identify. Nobody could ever accuse somebody of being a fan of AFC Bournemouth for the glory because, frankly, there wasn’t really a period in our history which could be termed the glory years. No looking back to the time when the hopes of hitting the heights were front and centre for a prolonged period. Sure, the Harry spell was fun but short-lived and a brief sojourn in the second tier isn’t all that much to shout about if we talking genuine football glory. As for the Bond era, it was before I was born and, frankly, it’s hard to get too excited about a team that missed out on promotion to the second tier by one place before being dismantled shortly afterwards. I think that can only count as a period of glory and hope for those that lived it (sorry to those offended!). I never had an issue with the lack of glory, I embraced it. If I’m honest I never expected it to change. 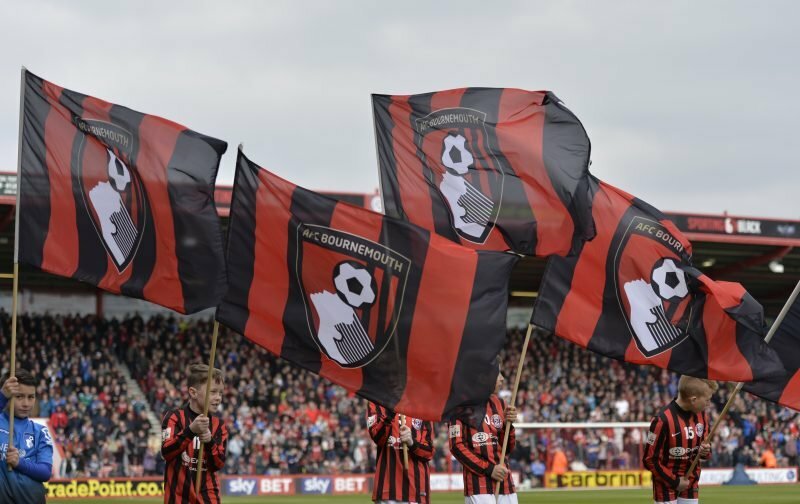 Sure you might have dreams as a teenager but as reality starts to bite as an adult I accepted that AFC Bournemouth was a club without a huge following so unlikely to ever have the financial muscle to compete to go up to the top table. Any dream of a rich benefactor bankrolling the club was silly since there had been so much publicity about the club needing help for so many years of financial difficulties that if there was one out there, they’d surely have come forward by now. No problem for me. This was my club and I enjoyed them for what they were. I harboured a small hope that we might one day assemble a team of cast-offs under a good, young manager early in his career that liked to pass the ball and would, hopefully, be able to hang onto enough of those players for long enough that we could someday sneak back into the second tier for a season or two. In many ways, that’s why I found the end of 2004/05 season so crushing. I always thought that was the team and that was the season when it should have happened. Watching Wade Elliot and co leave with the business unfinished was an awful experience and I thought it would probably be at least a decade before we rebuilt enough to maybe have another proper tilt at trying to get into the second tier. Once the disappointment dissipated though, that was fine. To the future, I looked forward, in the hope that we finally got over the financial difficulties that seemed to forever dog us and start to build a new, young team. The ambition remained to watch my club play a couple of seasons in the Championship but accepting that it may never happen was how I identified my football life. That’s how I saw my future with football and how I would couch the terms of what I hoped for when chatting with other football fans. There was nothing better than that to look back at in our history, we were almost the dictionary definition of a third tier English club, and hoping or expecting more was silliness I’d outgrown. For me, that was the psyche of an AFC Bournemouth fan. We knew who we were and what we were without delusions of grandeur. We accepted it, lived in hope for a little more but weren’t really greedy in our ambitions. Fast forward to now and we’ve had a decade that has felt like the kind of feeling you would normally only get for a few hours from something the government would classify as Class A and everything has changed. For the period between the Ipswich and Bolton matches, I don’t think I need to specify the season, my whole body was shaking. Literally shaking for long spells every day. Concentration on the tasks in hand was almost impossible as my mind struggled to cope with what was happening. Something that for most of my adult life I’d never considered a serious prospect was actually becoming quite likely but with the fear that we could still blow it. Hence the shaking.